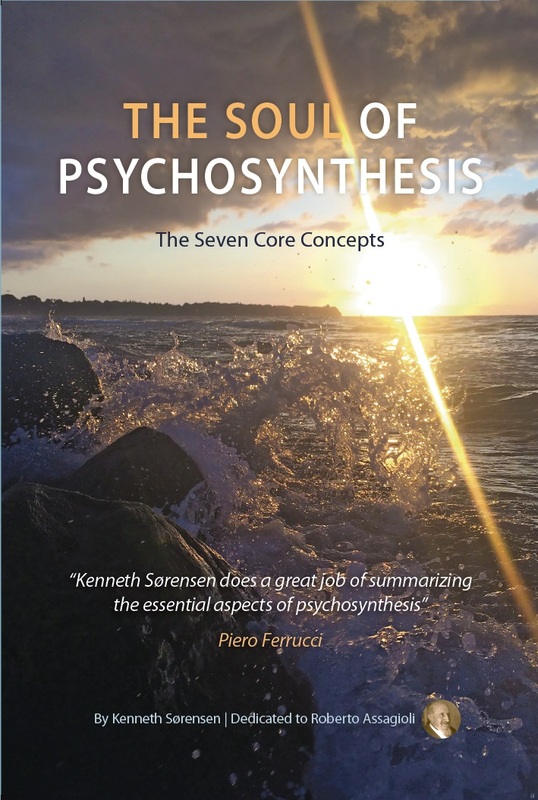 This article offers a brief overview of Psychosynthesis Typology in respect to management. 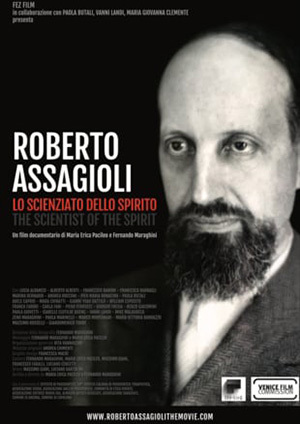 Roberto Assagioli, the founder of Psychosynthesis, has offered a more comprehensive picture in his book Psychosynthesis Typology. The Will type is characterized by an attraction to power. This type is probably most often seen as the “rugged individual” by other people as well as by themselves. Ideals tend to center around growth of the individual in the organization and opportunities for success of the individual. At the physical level, this type is noted for prompt and decisive action, courage, the power and need to conquer, rule, and dominate. This type will tend to be very competitive and will therefore naturally favor capitalistic organizations where competitiveness will be rewarded. Unfortunately, these tendencies often lead to violence and destructiveness. While these attributes are not always bad, they are, to say the least, generally very distracting and nonproductive in organizations. Mentally, Will types have clear vision, uncolored and undistorted by feelings. Thus, they are capable of making objective business decisions, although they may have a decided self-interest in doing so. This type also has great perseverance and reflects great powers of concentration. As Will types have great pride in their superiority in a given area, they will express their combativeness frequently in their love of criticism and argument. This is a primary deficiency in the Will types’ organizational effectiveness, as their propensity to criticize is often developed to an extreme. This, combined with a position of power and authority, has a great potential for hurt and destructiveness. Will types are not interested in the psychology of others or even themselves for that matter. As such, these types tend to suffer in their relationships. The very attributes that make these types successful in business will cause them a great deal of anguish in their personal interactions (both on and off the job). These attributes include egocentrism, emotional isolation, and lack of sensitivity. 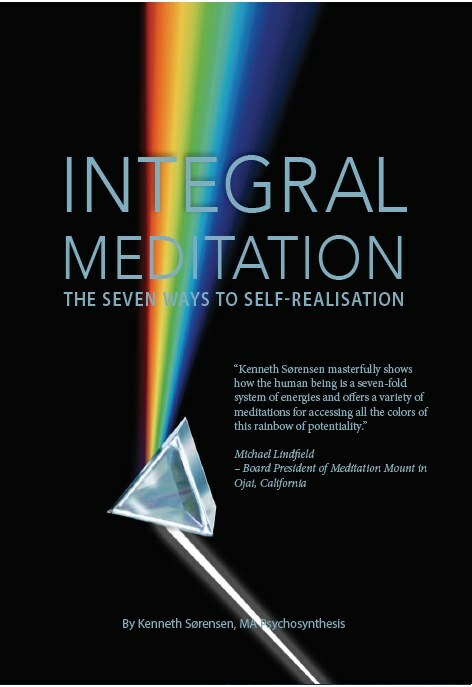 However, with regard to business acumen, these types occasionally display amazing intuitive abilities in the form of “gut feel.” This generally comes in a business situation where an immediate, practical solution is required, and the business person calls upon their business experience from the realm of their subconscious. As leaders, Will types are excellent. These are the people who are self-confident and know that they were “born to lead.” They tend to exude a great deal of charisma, are usually good at public speaking, and as such, can easily find people to follow them. Their leadership styles tend to be direct, simple, aggressive, and non-approachable. They deal with business problems from a position of power, and fully expect that intimidation will benefit them in the organization. Other attributes displayed by the Will type are: an acute sense of justice, a respect for law and order, self-reliance, internal independence, a strong sense of morality, steadiness, simplicity of purpose, generosity, an impatience with detail, and impartiality. Besides business leaders, other occupations that would attract the Will types would be politicians, police officers, judges, and career soldier. Examples of Will types would be Adolf Hitler, Richard Nixon, Howard Hughes, J. Paul Getty Jr., and Ronald Reagan. In organizations, the task of Will types is to align and harmonize with the other components and other types within the organization. As this type is markedly independent, there will be a tendency to operate from an isolated perspective, refusing the input of others. This is particularly dangerous when the input is of a technical nature, and technology is the business of the organization. Therefore, the objective should be to cooperate with, rather than dominate and direct others. An emphasis on participation in groups, while bothersome and tiring to this type, will provide a synthesis of group and individual objectives. Also, while the pace of group decision-making may be slower than that to which the Will type is accustomed, this type may be comforted in that the decisions which result will generally be better organizationally than those made by any one individual. While this may be threatening to Will types who are the heads of a large organizations, they may again be comforted by the knowledge that American business organizations will never lose the need for those individuals who can take quick, decisive action when required. The Will type will never become obsolete in business. The Love type is the opposite of the Will type in virtually all respects. Where Will types look for power and individualism in organizations, the Love types look for the human element and are at their best while participating in groups. Ideals for the Love types include looking out for the welfare of employees in a organization and the “humanizing” of group decision-making processes. At the physical level, Love types tend to be possessive of material objects and can many times be preoccupied with money and property. This might take the form of an intense yearning for luxury items and expensive material objects. Likewise, these types are prone to becoming self-indulgent and somewhat lazy and can be found seeking out a high comfort level. Their relationships with others can be either warm and friendly or cold and stand-offish. This depends on the age, maturity, and development of the individual. In the case of a Love type who has matured, relationships will be warm and rapport will be established easily. In this case, relationships are not seen as a threat. In the opposing case Love types who perhaps have been hurt in previous relationships will build a wall around themselves to prevent others from getting near. The Love type may appear cold and uncaring, which is an apparent inconsistency with the type involved. The Emotional nature of the Love types become a primary focus in their day-to-day living routine. This necessarily means that the Love types draw a great deal of energy from their emotions As a result, romantic and passionate love is of great importance to this type, which can lead to a variety of problems in the workplace where people often share emotional experiences. It is for this type that the current “male-female relationship in business” workshops hold the most promise, so that men and women can work harmoniously without unnecessary complications. Because of the emotional intensity which a Love type exhibits, there is a strong sense of attachment to the organization, and the resulting empathetic identification may cause this type to behave as if he or she were the organization, taking threats personally where none was intended. The Love type will generally write this off to “being especially sensitive” to the needs of the employees, people, or the organization in general. A common scenario which is repeated many times over in almost every company is the situation where the Love type might say to the Will type: “How can you do something like this to me? I’d never do this to you!” to which the Will type would respond: “What are you getting so excited about?” This conversation is just one of many that illustrates the wide emotional gap in perspective between opposing types. Love types are best utilized within organizations in positions where counselling may be needed by other employees. This might include personnel, purchasing, or administrative staff positions. Also, on the mental level, these types tend to have an inclination toward knowledge and details. As such, these types tend to be good in accounting and finance. Love types who are highly polarized at the mental level can appear cold and insensitive, an apparent contradiction with their type. However, this generally indicates that the individual just spends much of his or her time at the mental level. In general, Love types are very interested in the psychology of people, having compassion and sensitivity toward those with whom they work. In those Love types who exhibit egocentric tendencies, this compassion can easily degenerate into self-pity, a chief organizational flaw for the Love type. The most developed of the Love types will be highly intuitive, and this can provide them with remarkable insights. Most interactions, however, will continue to be at the emotional level where intuitions can become clouded and confused. It is important, then, for Love types to provide themselves with occasional environments where distraction is minimal and where clarity of vision can be achieved. Since Love types realize themselves through relationships, they are easily influenced by others. In this regard, they crave the stimulation provided by other people and will generally work better in groups than alone. They tend to see all sides of an issue in their inclusive inclination, which produces a wide field of vision, but sometimes this also produces a lack of resolution. In leadership roles, Love types have many obstacles to overcome. This is due to the natural predilection toward other people’s approval. In other words, it is very important to the Love types to have other people like them. This makes it very hard for the Love types to achieve some of the skills necessary to be good leaders. For example, public speaking will be necessarily difficult to the Love types because they will need to be up in front of people where they can view them. And then they must worry about making a mistake in front of all those people. This is a very distressing thought to the Love type. Also, taking charge of a meeting of middle managers, for example, will be out of character for this type (e.g exerting one’s will on a group). Thus, the Love types have many hurdles to overcome. However, if these impediments are dealt with, the Love types have an opportunity to become excellent leaders, possessing synthesis between compassion for the group and accomplishment of the task. Also, they will have the capability of leading from a position of true inspiration, perhaps in the role of facilitators or negotiators. Attributes of the Love type include: wisdom, understanding, concern for humanity, desire to unify, and friendship. Occupations where this type might excel are jobs as teacher, nurse, counselor, and psychologist. The primary task of Love types in organizations is to attain nonattachment. In doing so, they will eliminate from their nature the elements of greed and possessiveness, allowing an internal freedom to operate with full consideration for others. Also, this will enable Love types to not consider personally all things that occur in the organization. This will allow them to work with a certain degree of objectivity, an attribute which they usually need. Another task of the Love types is to eliminate from their nature the weaknesses and limitations in working within organizations. In this regard, a strong will is needed to help control the effects of an otherwise uncontrolled love for the organization and its people, which usually has ramifications of the most complex nature. This is not say that organizations don’t need Love types. The need for compassion in our corporate structures is great and will remain so for many years to come. However, the giving of oneself to the organization must be controlled and planned within the framework established by both. The Active type is characterized by intelligent activity and is highly prevalent in business environments. This type will usually be seen as the entrepreneur or sometimes at lower levels of development, the manipulator. Generally, in business, this type can be associated with the manufacturing and sales of some physical thing. Also, this type will quite often utilize some form of tool in the creation of a new enterprise, such as the recent explosion of high-tech companies who utilize or manufacture micro-computers. Ideals for this type tends to involve the creation of something – a form of organization, an invention, whatever – where nothing existed before. This type may be preoccupied by the process of making money, as the object which ultimately decides value and wealth In this pursuit, there is a similarity with the Love type. However, upon examination, it can be found that there is an important difference between the two types in this area. While Love types desire the luxury that money can bring, they place no inherent value in money itself or how it was obtained. Thus, their love of luxury could just as easily come from a sweepstakes win or inheritance as from the building of a successful enterprise. The Active type, however, is interested in the process of making money and in the gamesmanship associated in creation of wealth. As such, the frequent phrase of the Active type is to ask how much a person is worth. This is the standard way to evaluate the achievement of a person’s success to the Active type. On a physical level, Active types often tend to have a great ability to construct and repair items, being comfortable with their manual ability. As they tend to be intensely practical, they are persistent and clever enough to see how an object, or an invention, might be ultimately utilized in the marketplace. They are also quite confident in their ability to manipulate matter and people, to be able to bend situations to their benefit. As these situations occur around them in the outside world, they are “plugged in” most of the time, and are very realistic in their perspective. As their functioning is largely in the outside world, most Active types are primarily extroverted in their personality traits. The Emotional nature of the Active type is also extroverted in its expression. Thus, this type is usually impulsive and immediately reactive, and an animated response can normally be expected. Although people of this type are ordinarily very efficient, they have an inclination to be rash and impatient. It is very difficult, indeed, for this type to be deliberate, waiting for the right moment or perhaps waiting for group input. With regard to feelings and those situations which require sensitivity, this type is typically at a loss. For this reason, this type has extreme difficulties with their interpersonal relationships, particularly those with romantic implications. Also, this type simply has no use for psychology, either for themselves or for others, instead wishing to involve themselves with only concrete and practical items. With regard to their job, these types can isolate their feelings, simply not paying any attention to them, and this will not usually affect their job performance. Besides situations which affect their feelings, items which require an aesthetic determination from these types will produce only disinterest. Some Active types have been known to own precious works of art, not due to their artistic importance, but because it is fashionable and affords them an elevated status in their communities. On the mental level, this type displays an interesting dichotomy. In most cases, people of this type will exhibit great intelligence, be mentally active and alert, be enterprising, and find good solutions to perplexing problems. However, if the subject matter becomes too abstract as to lose its practical value, this type will instantly lose interest and turn its attention to something else. Thus, discussions involving principle, or other subjects that they consider to be too superficial will hold no interest for them. Also, in situations where a degree of intuition is required, this type will generally be incapacitated. Although this type will occasionally reflect a “gut feel” that turns out to be accurate, this is rarely more than a subconscious perspective derived from years of accumulated experience in business. In this instance, it is more probable that the insight is a behavioral pattern more than a result of receptive or reflective thought. In summary, this type is rarely open to real intuition, something that he or she would consider highly perfunctory. The Active type generally falls within the Will sub-group of types (e.g First, Third, Fifth and Seventh types), but in many aspects this type is independent from all other types. In addition, the Active type can be reflected as a strong second type with every other strong type. This is usually not the case with the other types. In that respect, this type does not seem to be threatening to other types but can complement them all. In leadership situations, the Active type has some interesting strengths and weaknesses. On the strength side, this type will recognize the need for input from all concerned personnel. This is from the practical need to make the individuals feel as though they are involved, which brings us to the weaknesses. This type has an overbearing tendency toward manipulation. As a rule, people of this type will be much more aware of the organizational process than, say, the Will type. However, their awareness many times will be utilized to manipulate the process or the involved people to satisfy their own needs. This type will generally not be comfortable in large group meetings, where manipulation is harder, but is more at ease in smaller groups or one-to-one where the opportunity to manipulate is greater. Other attributes of the Active type are: love of risk-taking, skill in action, efficiency, quickness, excessive “busyness,” hyper-activity, and concern for wealth. Many business executives will fall into this category of type, some in combination with the Will or Organizer types. Besides business executives, other occupations where this type might be found are attorneys, salespeople, and agents. Examples of the Active type would be Henry Ford and Steven Jobs. The task of the Third type in organizations is to cultivate the qualities of the other types, particularly those of the Love and Harmony types. This will assist this type in the recognition of the intangible, the importance of psychological qualities in the business world and the capability to utilize other types in day-to-day applications. This will also allow this type to control the excesses of his or her hyperactivity, and to allow time for rest, relaxation and silence. Also, the goal of personal wealth must be transformed into a more organizational goal. That is, the desire for personal well-being must become a desire for the greatest well-being for the greatest number of people. In this way, the destructive elements of greed can be largely avoided. Under this scenario, the possession of property might be viewed as a social responsibility rather than as a sign of wealth, so that an owner of a valuable painting might be seen as the trustee of the painting rather than the owner. This seems to be more realistic of the real situation anyway, since none of us live forever. The Harmony type is the “free-spirit” of the seven types and is the type that is most prone to having difficulty in business. This is because the ideals of the Harmony type and the structures of American business organizations are not usually compatible, especially when a profit is to be made. The ideals of this type include harmony between people and a working environment that characterizes beauty in some manifestation. This type will seek to avoid or resolve conflict in an organization, depending on the development of the individual, not realizing that this conflict is sometimes the “fine-tuning” that occurs in organizations to make his or her sharp. So while conflict will be itself the worst thing for this type, it will be a necessary and sometimes enjoyable experience for other types in the same organization. It might be analogous to “survival of the fittest” in the wild, where the weak are killed off so that the strong can live, to reproduce and make the species strong. In this instance, the Harmony type will always identify and empathize with the weak. At the physical level, people of the Harmony type demonstrate a fine appreciation of beauty, color, and art. This instills in them many aesthetic qualities and values. Their love of physical beauty and their desire to create beauty also tends to intensify their sexual impulses, which, like the love type, can lead to awkward situations in the workplace. They tend to be demonstrative, though in a refined and stylish manner, with their motions and nonverbal communication. Emotionally, individuals of this type are very active and tend to experience emotional hills and valleys, which comes upon them in great swings depending upon their interactions in the external world. In this way, they can be considered to be emotionally introverted, living their lives inwardly with immense fluctuation. As with all introverts, however, they are extremely sensitive to the external world and the events that occur in it. This means that they are sensitive to impressions obtained through events around them and are influenced easily by other people. Also, their sensitivity for external events is blended with a robust taste for fantasy, so that people of this type must take extra care to differentiate fantasy from reality. As this type truly appreciates beauty, people of the Harmony type are easily upset by discord, ugliness, and vulgarity. At the mental level, the prevailing characteristic is to bring together opposing viewpoints, to harmonize and unify the different components of the organization. Thus, this type can be effective in positions where negotiation is an important tool. Also, as a group facilitator (as opposed to a group leader), this type would be outstanding. Positions where this type might be effective are staff-support positions, space planning/interiors/architecture and training. Other occupations where this type might be found in large numbers are artists and musicians. Usually, people of this type are disposed toward combativeness only when the difference between the beauty of the ideal and the stark ugliness of the reality become apparent; at this time, Harmony types can be aroused to fight the stupidity and blindness of those responsible for the imperfection. Yet another attribute of this type are periods of feverish activity, which are followed by periods of apathetic inertia, which tend to occur in periodic cycles. While this occurs to some degree with all of the types, the swing in activity level for this type is marked by huge highs and lows within a relatively short period of time. The Harmony type is apt to be the most intuitive. This is due to his or her nature of being normally very receptive. There is always an underlying understanding of which the Harmony tries to avail himself or herself in external situations. In this regard, this type may look for hidden meanings or symbols in events or predicaments. During this time, the Harmony type may appear disorganized and not in control of his or her own circumstances. However, this tends to be a gestation interval, when this type is searching for answers from all possible sources. When the answer is found, another active period will begin; whether the project will be finished is another story, since the Harmony type is known to have a problem with staying power. People of this type ordinarily have several projects in process at the same time, none of which usually have a completion date on the horizon. The leadership style of the Harmony type, as previously discussed, is that of facilitator. It is the preference of this type to be assisting in the process of a group meeting rather to be in charge of or leading, the meeting. These types are not particularly comfortable in front of a group of people, where they can be judged in a leadership role. However, they can be somewhat comfortable in a facilitating role, where they can be more participative in the group process. Overall, the personality of this type tends to be imaginative, dreamy and impractical. There is a disposition on the part of Harmony types toward extravagance, with no thought toward value of money or possessions. Other attributes of the Harmony type are: understanding, solidarity, perceptiveness, versatility, and generosity. Examples of Harmony types include Shakespeare and Leonardo da Vinci. The task of Harmony types in organizations is to achieve discipline and focus. Normally, much energy will be expended on a variety of projects with may be just a few resultant project completions. It is necessary that this type achieve some inner disciplinary clock, to assist in the increasing of personal productivity. To this end, it might be advantageous for people of the Harmony type to take Time Management courses at repeated intervals, to assure that these principles take their place with other organizational norms. Also, it is incumbent upon people of this persuasion to pursue courses and seminars that may be somewhat uncomfortable to them; these might include public speaking, debate, and marketing/sales. This would assist in offsetting the natural shyness of this type, while at the same time assisting in the development of their business skills. The fifth type, that of the Scientist, can best be characterized by the search for truth, and the attention to detail. Ordinarily, this type is concerned chiefly with those things which can be perceived by the five senses and is not particularly interested in the larger meaning of life, psychology, or assigning values to situations. Ideals for people of the Scientific-type include objective analysis and concrete knowledge. Answers to problems tend to be black and white, that is, there is a right way and a wrong way to solve a problem. Rarely are there any gray areas to a Scientific-type person. Physically, this type is constantly alert and is interested in the smallest detail of existence, whether earth-bound or in the heavens. Behind each inquiry that is made is the need to know why something works or how it came to be. Besides the five senses, this type is very interested in the development of instruments to observe phenomena and especially, the determination of the laws that govern these phenomena. Emotionally, this type tends to be severely handicapped. Many times, the Scientific type is viewed to be insensitive, cold and even inhuman. While others may see this type to be cruel, it is more often the objective search for truth that causes these characteristics to be demonstrated. Also, this type has been observed to have an inability to feel human emotions or to be able to express tenderness. It is hypothesized that the Scientific type does have a capability toward devotion, but it is toward either impersonal objects or toward theories and ideas. In this way, this type will not need to deal with subjects that give him or her problems in the pursuit of his or her goals. Feelings which are impersonalized can then be channeled toward purely intellectual purposes. On the mental level, the Scientific types are at their best. At this level, this type is depicted as having a tireless mind and investigating nature, while reflecting the habits of probing, experimenting and discovering. Some of this type’s greatest strengths are faculty for prolonged attention and great mental concentration. Also, this type has a gift for accuracy and demands nothing less than perfection in this area. Commonly, persons of this type are not intuitive, as receptive thought becomes strangled in the sensory search for truth. As so much of their energy is expressed on the mental level, the primary weaknesses for the participation in organizations are also on this level. These weaknesses include a materialistic outlook, an analytical approach to all things, destructive criticism, mental pride, arrogance, an exaggerated concentration on details and a lack of psychological understanding. In leadership situations, this type has the potential to be very good. However, care must be taken not to bog meetings down with details or not to confuse organizational goals with personal ones. If it is possible to communicate enthusiasm for a project or a discovery or invention, and this type also has some corresponding communication skills from complementary types, then there are leadership potentials to explore. Many Scientific types, however, will have no such interest in managerial positions, as it would distract them from their primary interest – the search for the truth. Other occupations where this type might be prevalent are doctors, engineers, accountants and researcher. The organizational task of the Fifth type is to control and sublimate the desire for knowledge. As this is a thirst that is almost totally engrossing, there will usually be no energy which remains for other organizational tasks. As such, persons of this type will frequently offend other members of their work group, sometimes without even knowing it. The other important task is to emphasize compassion and empathy, which will bring with them a strong organizational component of cooperation, that is, seeing the other guy’s viewpoint. To facilitate these tasks, the Scientific type might want to take courses in such subjects as team building or quality circles. The pursuit of these tasks should enable a person of the Scientific type to see the larger perspective of the organization, as opposed to the micro-view of the individual. This is especially important to the manager or managerial candidate with strong Fifth-type tendencies. The Devotion type can be generally seen as the most emotional of the seven types. Not only is this type emotional, but it is also proud to be emotional, as well as being proud of the other attributes usually displayed by this type. The ideals chosen by this type tend to be easily identifiable in nature. Therefore, these types are found professing great and admirable qualities or converting people to their ideologies. Physically, these types tend to express themselves in such a way as to evoke an internal response in others, since this is the vehicle of change for their own gratification. Therefore, their expressions and nonverbal actions tend to be infused with a sense of importance and urgency. Their attitudes toward their own bodies can indicate that they consider it an obstacle in the accomplishment of their own lofty goals. If, in the pursuit of an ideal, they must place their body in physical peril, they will not hesitate to do so. Many times the sixth types will speak of Love; however, the nature of the Love of which they are concerned is generally of a different fibre. In this regard, there is a decidedly aggressive quality to the Love of which they are talking. The emotional life of the Devotion type is intense. Feelings are passionate and pronounced, even to the point of exaggeration. It is very difficult for this type to be objective in organizations. Whereas this type will tend to prefer groups for decision-making, it is primarily the group that provides the forum for an impassioned plea for the “right” solution. Mentally, this type can be somewhat underdeveloped because of the inclination toward frequent utilization of strong emotions. As a result, this type can become narrow-minded, intolerant, and critical. The persons who exemplify this type tend to be proud and vociferous of their opinions, make rapid judgment, are uncompromising, and will not change their mind, once they have adopted a theory or attitude. If, by chance, one of their idols or ideals does not live up to their expectations, they can tear them down in rejection, with as much hate as they had given love before. People who exhibit characteristics of this type can be interested in the psychology of others, but usually for selfish, and certainly not unconditional, reasons. In attempting to learn about other people, there is a great deal of projection involved, and the “cause” is deemed to be most important object of their passions. The attributes of this type also complement the Will type very well, and as a result, this combination is frequently seen in business at the higher levels. In both types, there is a singular nature to the purpose for which the individual strives. Often, the individual strives for the accomplishment of some higher purpose. And this opinionated, impassioned idealism is a usual method for the business executive to show his or her feelings – an accepted method in an environment which does not reward sentimentality. Likewise, persons who reflect the Devotion type, especially when accompanied by the Will type as discussed above, can be outstanding leaders. They can give inspiring speeches, providing motivation and confidence. Other leadership attributes of the Devotion type include sincerity, loyalty, self-sacrifice, endurance and a lack of fear. Besides devoted business executives, other vocations where this type may be found might include priest and missionary. The task of this type in organizations is to attempt to attain some degree of flexibility and adaptability. Too often the efforts of these types are destructive, since they are investing the whole of themselves into a cause of their own projection. While persons of this type may work in groups frequently, it is usually the intent of this type to move the group toward these self-made goals or ideals. Therefore, active listening to other people is a priority for the development of this person. Also, this type tends to exhibit excessive opinions and judgments. An inclination should be adopted to release these opinions and allow an unconditional aspect to come to the daily activities of this type. This type will also spend a great deal of energy toward combativeness and exclusivity. Other higher ideals can be found where the expenditure of such energy would be better utilized. An attitude of objectivity should be achieved if at all possible. Tolerance should be shown toward contrasting points of view, and humility should be studied as a great virtue. 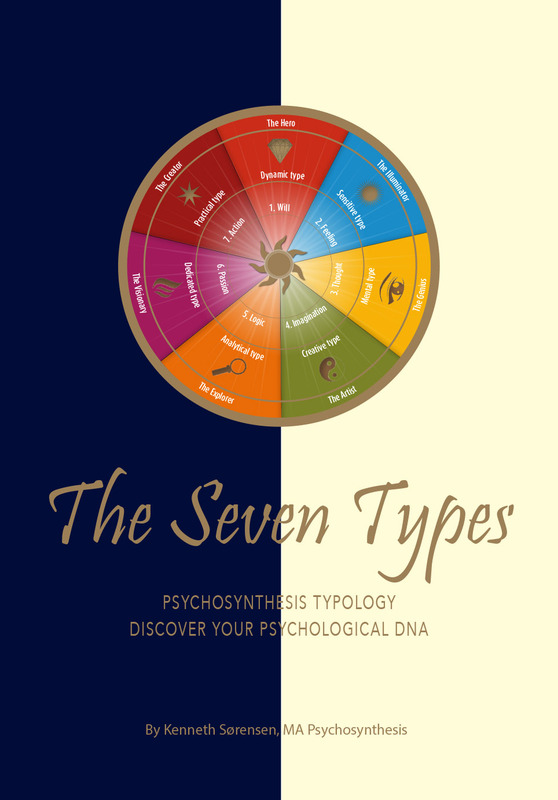 The seventh type, the type of the Organizer, is characterized by action and objectivity. A person of this type can be understood best by observing his or her activities, rather than by analysis of his or her inner life. An ideal of this type is the “ordered activity of the group,” and the seventh type might show disdain and frustration for meetings in disarray, tardiness, or the clutter of an unkept office. These types will generally express themselves in a clear, straightforward manner and are easy to understand. Much of the Organizer’s time is spent on the physical and mental levels. This is due to the constant projection of accurate models of ideal situations At the physical level, this type can be heavily involved in groups, not necessarily as leader, but perhaps more in the facilitator role. This type might be in the position of assuring that a group has everything it needs to function smoothly and derive the desired function. Outlining projects and making lists are a favorite pastime of this type. In summary, the strong attributes of the Organizer type are a sense of purpose, a clear mind, constructive activity and practical ability. Though this type is similar to other types (It may be a synthesis of some or all of the others.) its energies are channeled in somewhat different directions. Though it may possess willfulness of the Will type, this type will not have the sole aim of achieving the desired result as its only goal. Where the Will type can be cold and hard in the pursuit of its goal, this type is more moderate and is considerate of others’ needs as well as his or her own. The seventh type can be persistent and patient in the achievement of a goal, especially if it involves a large group of people. There are also similarities with the third type, which is very practical and adaptable. Whereas the Active type prefers to work alone, the Organizer type prefers to work with or through people, assigning them tasks. And the active type can work in a disorderly environment, which is unthinkable to the true seventh type. This type also has the clear mind of the Scientific type. However, where the fifth type uses this clarity for the purposes of discovery, the seventh type uses it for the purpose of doing – of attaining tangible results by getting people to work together. This type tends to be rigid and formalistic, and portrays an inner discipline of strength and fortitude. Emotionally, however, persons of this type can be barren. Since much of the Organizer’s life is ruled by tradition and habit, little time is expended on the development of the emotional nature within. The emotional nature of the human race is simply seen as unimportant in the accomplishment of important goals. This type may show some interest in human psychology but only from a mechanistic, observer perspective rather than from a true interest in how the human animal acts in a business situation. As such, the intuitive nature of this type is apt to be limited to groups and organizational micro-applications. While this type has leadership potential, a more appropriate function for the Organizer to play is that of facilitator, as mentioned above. Generally, this type will not be driven by power needs and, therefore, will not be required to take control of a meeting, for example, as might a Will type. The Organizer may be moved to get the meeting back on track if it strays too far from the scheduled agenda, however personal leadership qualities include propensity for order, attention to detail, accuracy, patience, perseverance, courtesy, clear thought and objectivity. Occupations where this type would excel might be a movie producer or director, an athletic coach or an orchestra conductor. The task of the seventh type in organizations is to keep the goals of the organization in focus at all times. There is a tendency of this type to become too identified with the formal aspect of his or her job, thus becoming a prisoner of this aspect. This type is in good position to help the organization take direction to serve the stated purpose of the firm. It may help to view the organization as an organism and promote organizational health from this perspective. A certain amount of compassion and idealism should be introduced, which are more indicative of the Love and Devotion types. In this way, the movements of this type might be free from the rigidity of the formalized approach traditionally taken by this personality.